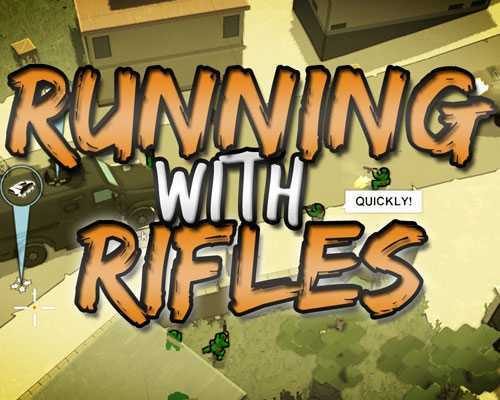 Running With Rifles is an Action game for PC published by Modulaatio Games in 2015. Play as a soldier in the army to finish the missions. You won’t be alone in the missions. There will be other soldiers too. The control of these soldiers will be in your hands. You will be a common soldier like the other ones in the army. The honors will help your soldier to be the best at this game. Each missions has experience points for the players. It means that if you complete any of them, Your team will level up. If this leveling up continues, You will turn into commander. After this promotion, You will only be sent to special missions. Which have acceptable scores for the players. Although they are hard to finish, They add great amount of money to the account. In some missions, The players need reinforcement troops. In that case, You should call the main commander of the army. They may help. If none of the reinforcement troops sent to the battle, Don’t worry. Because they will come as soon as possible. It’s not possible to call this kind of troops in all the levels. There are only limited times for this case. There are hundreds of environments to explore at Running With Rifles. Near the main destinations, There will be side objectives too. The player may lose many of the soldiers in a battle. Some of the troops may get injured hard too. Before you start the next battle, They should be treated nicely. Of course you will need extra soldiers to win the next wars. 12 Comments ON " Running With Rifles Free Download "
how should i install it or fix it to play the game? I’m not sure but I think you should run the vredist or something like that. Just look inside the game folder(all of them) and run anything that has .exe behind it. How do i update it?? “Update should be installed on main version” what does that mean???? for anyone looking on how to sort the openal32.dll problem, the dev has made a program that manually installs it, so a 5 min google session is the key to get it working.